This is yet another Netflix movie that I saw knowing nothing of the plot. I put it in my queue ages ago, based purely upon the mediocre star rating (which mediocre star ratings on Netflix for horror movies are usually an indication of a decent movie). I finally got myself in the right mood to watch a marginally unknown cast deliver try and deliver some horror on a slim budget. House Hunting begins with a split story, following two separate families as they are searching for a new house. Family #1 consists of husband Charlie, teen daughter Emmy, and new wife Susan. Family #2 consists of husband Don, teen son Jason, and matriarch Leslie. During the day’s home searching activities, both families encounter a peculiar man. This man turns out to be the seller of the same house that both families roll up to at the same time. An aside, I recall how awkward it was when I was house hunting once, and another family stopped to look at the house at the same time I did. There was an odd, darting of the eyes, uncomfortable stand-off of who liked the house better, was the other party interested, etc. I digress. So both families get to the remote home at the same time and discover the house is abandoned. The families encounter a severely traumatized young woman running through the woods, who they discover has had her tongue cut our and she cannot speak. The families drive away from the house in an effort to get this young woman some aid, however they are unable to leave as the road keeps taking them back to the house. After all afternoon of trying to escape, they families concede and retreat inside the home. At this point, the movie turns into a psychological standoff between the families; both fathers are pretty overbearing. And slowly the families unwind…going crazy having to stay put in this house for days and then weeks. Predictably they have to face their inner demons. 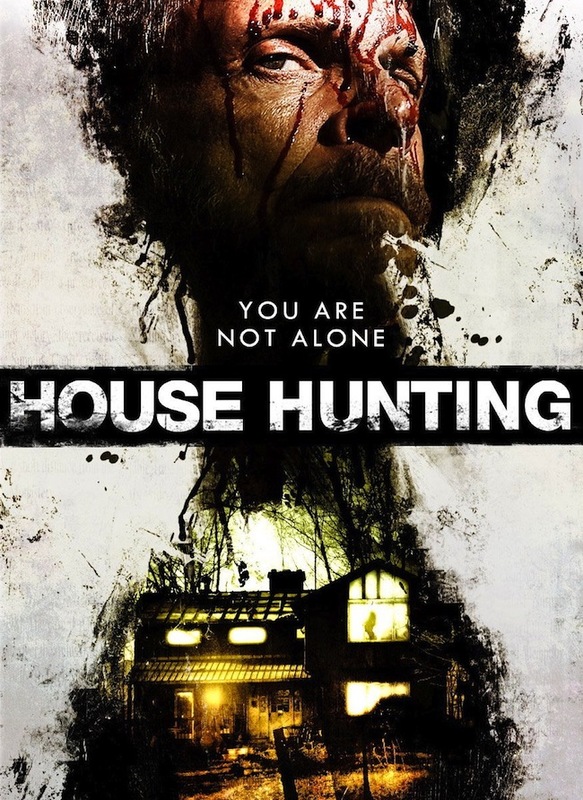 While there are some supernatural elements, including a few out-of-place ghost cameos, House Hunting is mostly a psychological thriller. Ultimately House Hunting was very slow-paced, a little boring, obviously low-budget, but it did have an interesting idea (although this idea is not exactly novel to modern thriller cinema). The acting fell flat for me as well. In fact, I was really distracted by Don (Art LaFleur) in the trivial sense that to me, he will forever be Silver Fox from 1995’s gem of a teeny-bop movie Man of the House (JTT!!). Mashup status: See strike-through above for spoiler list of similar movies. I watched this movie about a month ago and I almost forgot about it! I agree with you, it’s like the director/writer wanter the movie to be too many things. But I did like the story line, it was different but it dragged too much. Thanks! Yes I agree, it was very forgettable. Glad to cross it off my list!